Valley Advocates for Responsible Development (VARD) | Your Donations Will Help to Protect Teton Valley, Wydaho! The last ecosystem of its kind. 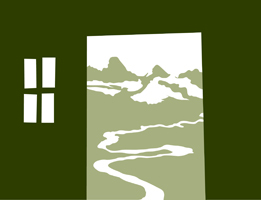 Your Donations Will Help to Protect Teton Valley, Wydaho! The last ecosystem of its kind. Teton Valley, Idaho NEEDS YOUR HELP! Run largely through individual donations, VARD is one of the only groups of citizens working collaboratively with community leaders, government officials, and the general public to preserve natural resources, protect rural character and promote vibrant communities in Teton Valley, Idaho. We can’t do it without your help. If you love this community and want to see its pristine and unique resources thrive then don’t hesitate and donate today! VARD Planning Patron and Membership Program: Teton Valley needs you more than ever! Becoming a local hero couldn't be easier! As a member of our Planning Patron program, you can: make monthly donations from our website, your bank's bill pay system, in person or through the mail. It's safe and easy to do, and it provides a reliable stream of income for important advocacy work throughout our valley. Donate 100% - Add 3% so that 100% of the donation goes to Valley Advocates for Responsible Development (VARD). Valley Advocates for Responsible Development (VARD) has partnered with Network for Good to securely process your online credit card payment via Network for Good (tax ID 68-0480736). This transaction will appear on your credit card statement as "Network for Good." This transaction is subject to Network for Good’s Privacy, Security & Disclosure Statement and the Charitable Solicitation Disclosure.